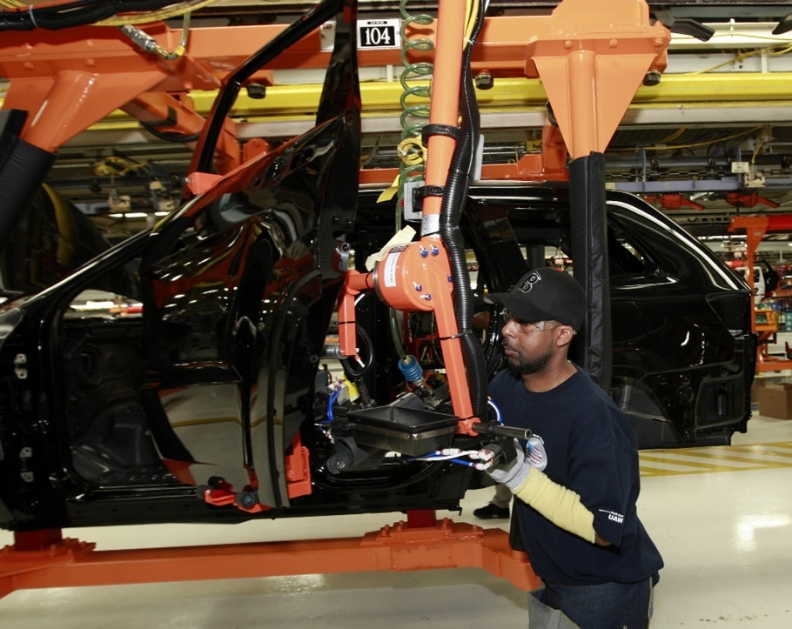 Michael Ricks installs an unidentified parts module on the Jeep Grand Cherokee at a Chrysler factory in Detroit in May. The U.S. auto sector has been buoyed this year by a sharp increase in new car sales. And analysts say there aren't many distressed auto parts companies now. NEW YORK (Reuters) - A little more than a year ago, U.S. auto parts suppliers were wondering if they would survive a massive industry restructuring, but 2010 is shaping up as one of the best years ever for the industry. "Talk about a roller coaster ride," Mark Leder, co-founder of private equity turnaround firm Sun Capital Partners, said at the Reuters Restructuring Summit on Wednesday. "That business absolutely fell off a cliff in the fourth quarter of 08, was dead for a year, and 12 months after that, it has probably been among the best years for it," he added. Chrysler Group LLC, General Motors Co. and their suppliers, including Delphi Corp., Lear Corp., and Visteon Corp. have used the bankruptcy process over the past few years to sharply reduce debt, and the auto sector has been buoyed this year by a sharp increase in U.S. auto sales. But Leder said there just aren't many distressed auto parts companies now. U.S. auto sales have trended gradually higher from 11 million in the first quarter to 11.3 million in the second quarter, on the annualized basis tracked by analysts. Delphi, which exited bankruptcy last year as a privately-held company, has begun sounding out investment banks about the prospect of an initial public offering as early as next year, people familiar with the matter told Reuters in July. Visteon, a top supplier to Ford Motor Co., emerged from bankruptcy last week as an independent supplier. Earlier, it rejected a potential tie-up with rival Johnson Controls Inc. When it filed for bankruptcy in May 2009 Visteon had warned of the potential for liquidation. "There's been such a rapid increase in sales, that no one is really struggling at this point. The issue companies are having is funding the pick-up in working capital that they require and that is creating opportunities for us," said Leder, whose firm buys struggling companies and works to turn them around. A unit of Leder's Florida-based investment firm recently completed a deal to buy California auto accessories company Auto Expressions from a unit of Pennzoil-Quaker State Company, which itself is owned by Shell Oil. Leder said the less than $100 million deal, was mainly a chance for the seller to leave a non-core business, but that even though the sector has grown more attractive to investors, significant auto parts mergers and acquisitions may still be a long way off as investors want to see more stable cash flows and profits. "For the most recent year there's been such a spike in performance, that it's really hard to determine what is a steady state level of sales and profitability," Leder said.